Learn more about the author! You'll see how easy it is! Get a feel for the story! 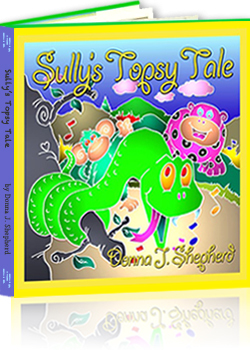 The final picture book in the Topsy Tales trilogy features a jazz loving, bebopping, singing snake suffering with laryngitis. What’s an independent snake that only sings solos to do? While waiting for his voice to return, Sully learns to appreciate the talents of others and the value of friendship. Your story has been ‘Dog Eared’ for later. You can find it on Your Account Page.